Little sun child care in Fremont is a state licensed as a home daycare facility and has met and exceeded all health and safety guidelines. we offers full and half schedule programs for children ranging in age from 0-5.
little sun child care offers a safe, nurturing environment where your child will get the attention and care that he or she needs.My job as a child care provider is to support the role of parents. Our ratio of children to adults is always within state guidelines - and often even lower- to make certain each child receives top-quality care. Little sun child care is dedicated to helping each child discover their unique potential -academically, socially, and interpersonally. Our mission is to build confidence and love of learning, give your child a solid foundation for a healthy and happy life. You can rest assured that your child wll be cared for with the utmost kindness, love and respect. 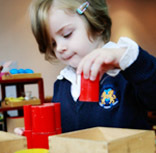 We believe all children are precious gifts and we treat them as though they are our own. 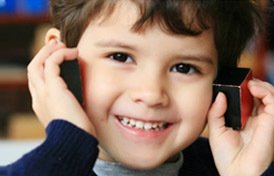 We do our very best to take care of your child and show that they are very important and loved. The child care can learn, play, and grow together with joy and spontaneity. Children who benefit from such great begings have futures there are limitless! Let the child fall in love with learning and exploring.